It's back. If you don't know real road racing, as in, racing on closed public roads, you need to take a look. If you do know it, the TT needs no introduction. 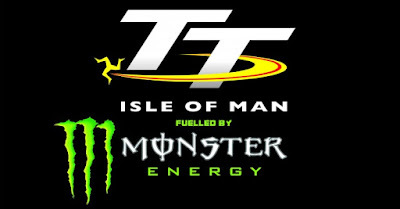 Practice starts on Saturday evening with first qualifying sessions on Monday and the opening race, the six-lap Superbike, gets things started in earnest on Saturday 6 June. I live on the Isle of Man, love the place, love the racing and there is something magical about watching the team transporters rumbling up the hill from the ferry terminal to the paddock over the next 24 hours. Less magical are the racers trying to learn the circuit in cars/ vans but I've learned to give a wide berth to any non-Manx registered vehicles in the run up to TT! wrestling naked on the hearth rug!. Gary and Ben, of course. Sort of a tag thing. With lard.